The USAlert WatchDog is a 2-Tone Voice pager specifically developed for the public safety market to alert firemen and other emergency personnel monitoring or responding to time critical emergency situations. 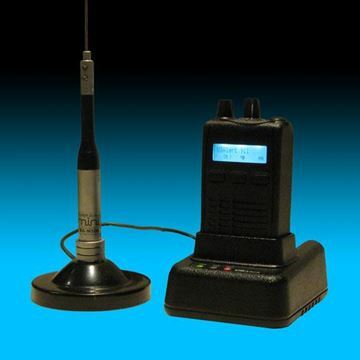 Operational in the VHF or UHF frequency bands, the pager is fully synthesized and comes in both wideband and true narrowband models. With separate receiver boards for wideband and narrowband operation, the pager is not only narrowband capable, it is narrowband compliant. 15 individual addresses are available on each channel, 10 standard 2-Tone addresses and 5 long tone addresses. 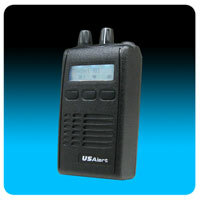 The pager is designed for harsh and rugged environments, has a very loud and clear audio output, and is easy to operate. 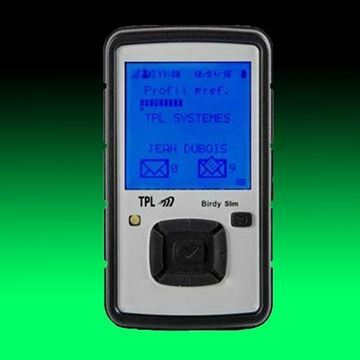 Holding an IP66 certification, the highest IP rated pager on the market today, the WatchDog is protected against dust and high pressure jets of water from all directions. 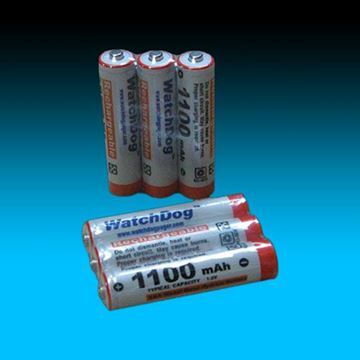 The WatchDog pager ships with “AAA” sized rechargeable NiMH batteries and a charger. 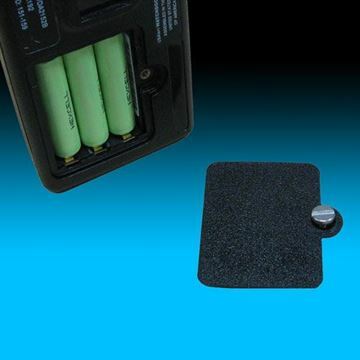 Standard “AAA” Alkaline batteries can also be used with this product if desired. 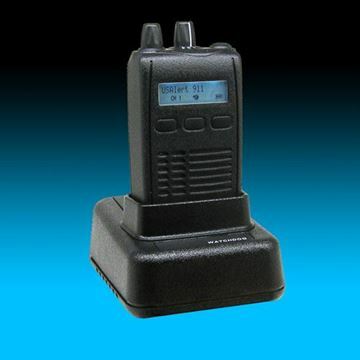 A battery charger with an antenna to extend the range of message reception is available as an option. 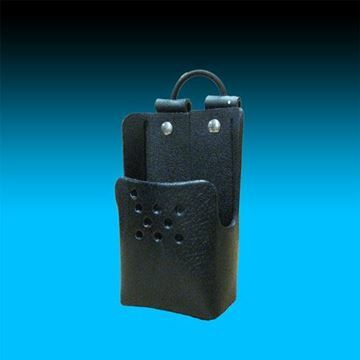 All pagers come with a standard 2 year warranty, an optional 5 year warranty and are built in the USA. A free 30 day demo unit is available upon request. For more information, check the listings under the "Documents" tab. * Find the firmware version by first turning off the WatchDog. 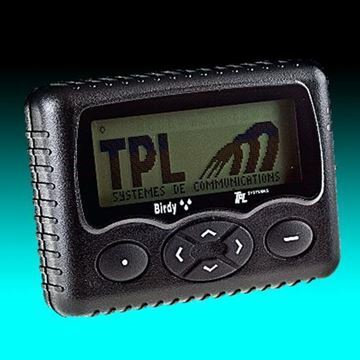 Then, while holding the top reset button down, turn the pager back on. The firmware version will appear on the LCD display. Return to normal operation by turning the pager off and then back on. If you are interested in a WatchDog LT (Non-Display Model) Click Here. Please complete all fields on the programming form Click Here. If you have any questions, please ask your sales representative. Once submitted, you will receive confirmation and follow up. There is no fee for a 30 day demo, but the demo must be approved by your department and the department must be listed as the billing address. If you'd like to download a copy of the WatchDog brochure Click Here. The USAlert WatchDog Battery Charger is both a smart charger and a rapid charger. Using a 12VDC 1.0A power adapter, it will charge both the WatchDog pager and a spare set of three NiMH (Nickel Metal Hydride) batteries simultaneously or individually. 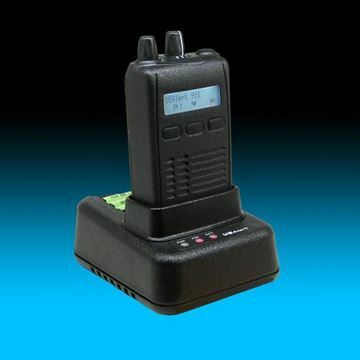 The USAlert WatchDog Charger with Antenna is designed for those situations where the pager is charging and you would like to improve your signal reception. The USAlert WatchDog Programmer consists of a programming fixture, a serial communications cable, a USB communications cable, a USB to Serial Adapter, a large programming CD and a small computer drivers CD. 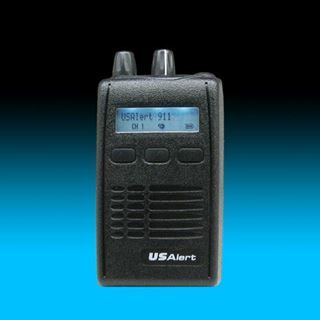 The USAlert NiMH Rechargeable Batteries are the primary power source for both the WatchDog and WatchDog LT Voice Pagers. Three individual "AAA" sized NiMH (Nickel Metal Hydride) rechargeable batteries, rated at 1100 mA/hr, come standard with the WatchDog pagers. 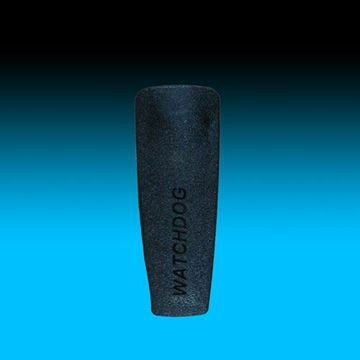 The USAlert WatchDog Replacement Back Cover is a detachable piece of polycarbonate material that makes up the back of the WatchDog pager. 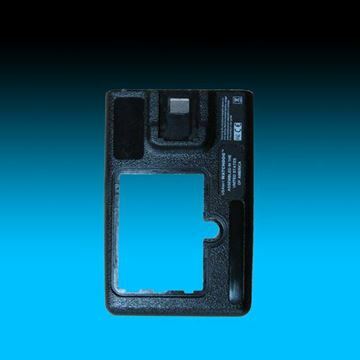 The Back Cover slides into place from the bottom of the WatchDog's main unit and is secured by a metal screw at the bottom of the pager. 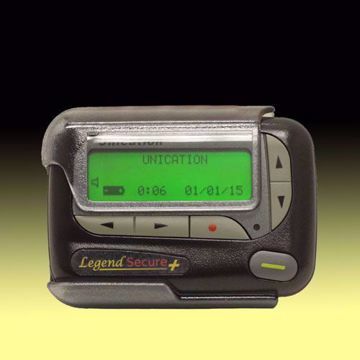 The WatchDog Voice Pager uses a black polycarbonate Battery Cover with a metal fastening screw to securely attach itself to the back of the pager. 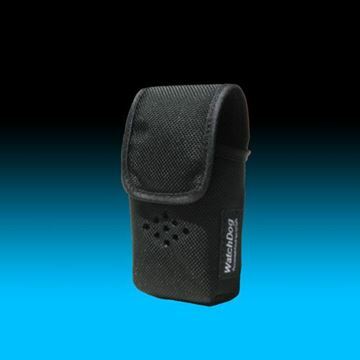 The Battery Cover design provides protection for the battery compartment while also holding the batteries in place.